Recently I checked numerous online tutorials as well as my embroidery handbooks for the Stem Stitch. 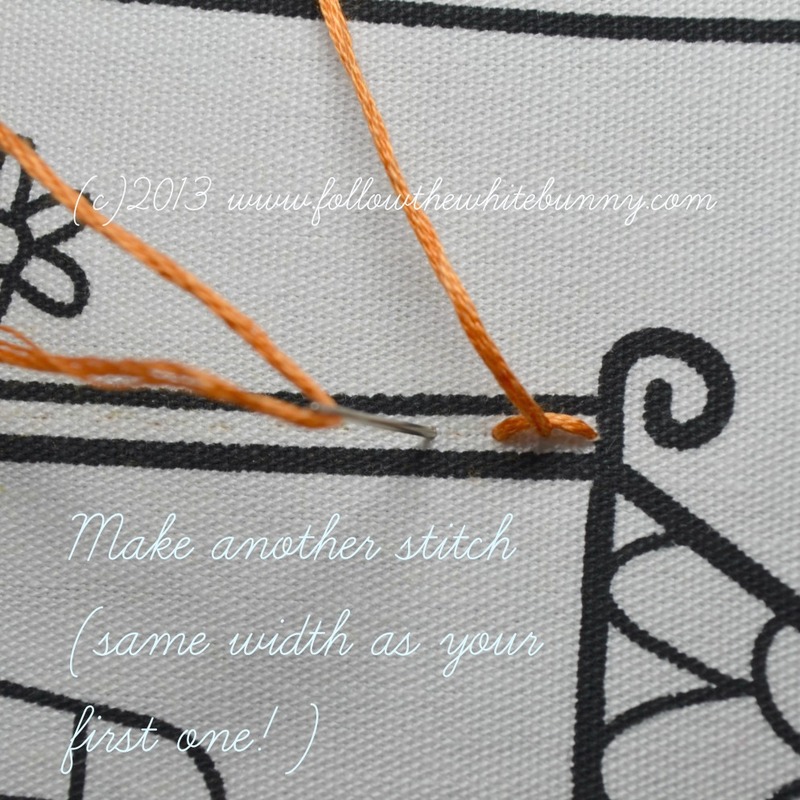 Like I wrote in my last post: I was never 100% happy with how my Stem Stitch turned out so I thought I would check whether (and where) there was room for improvement by re-mastering the stitch. It seems to me the Stem Stitch can be explained in many different ways, some will 'click' with you and some don't. 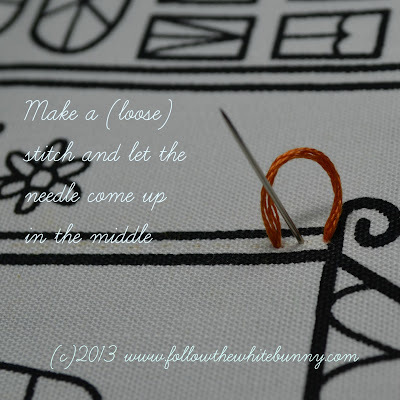 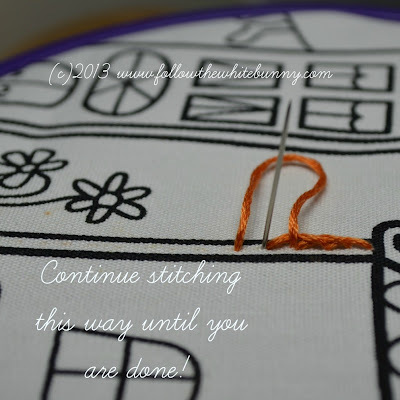 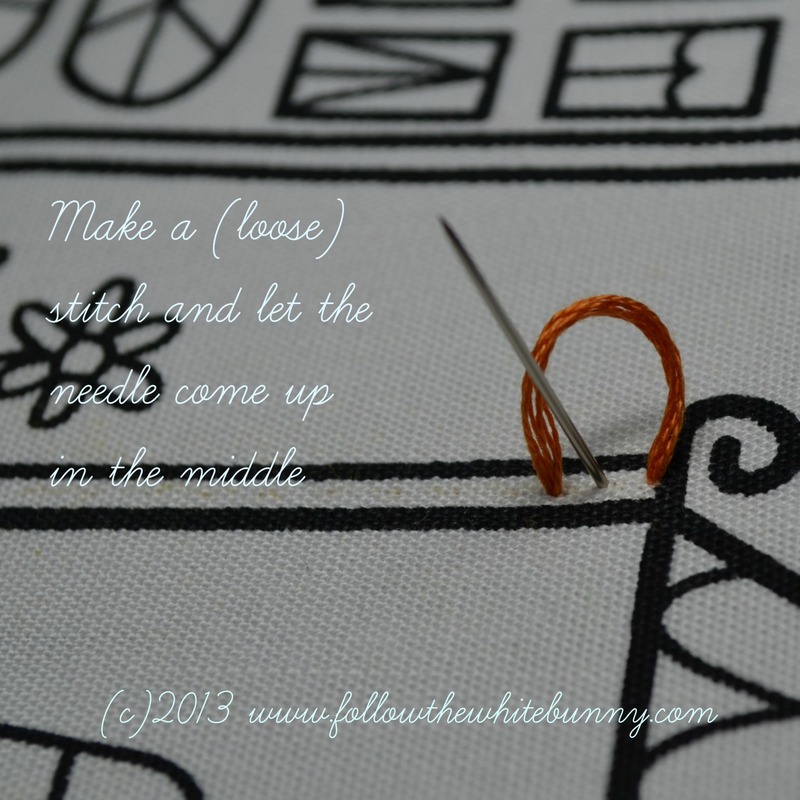 The Stem Stitch tutorial I'm sharing with you, is the one that makes most sense to me and indeed did improve how my Stem Stitch looks! 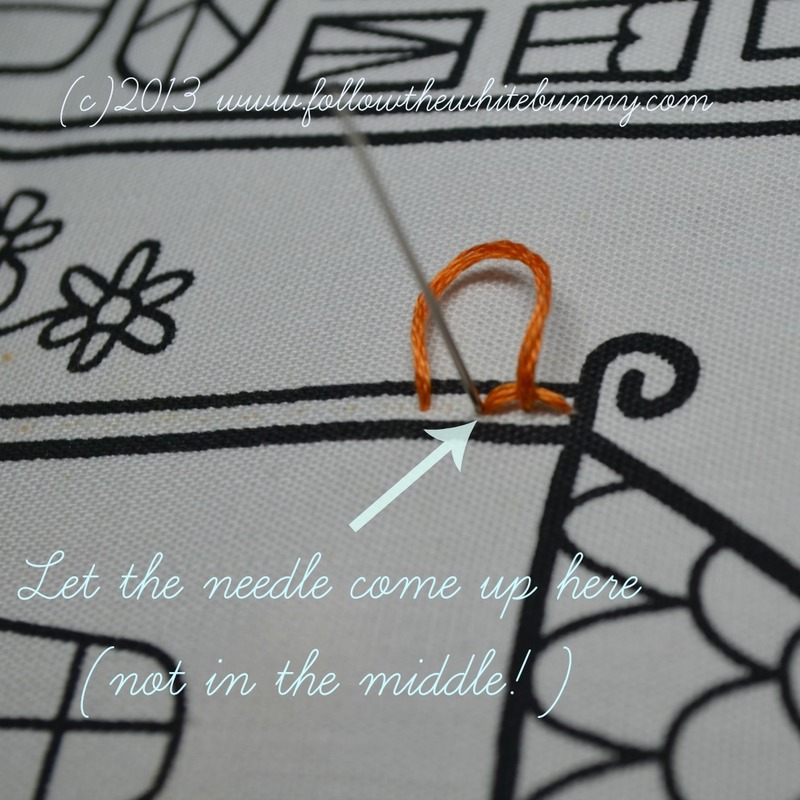 Note that I'm left-handed (so the photos are of the left-handed version of the stitch) but that really does not matter much for understanding the key points of making a successful Stem stitch. 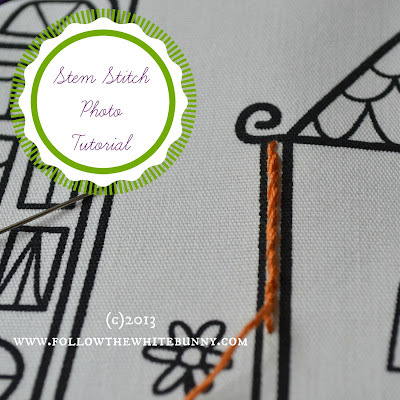 However I've added a 'right handed' photo at the end of the tutorial (which is actually an upside down photo of my left-handed stitch) just in case you right-handers need some extra help understanding :) Also: in my photos I've made larger 'loops' with my floss than I normally would to make things more clear. 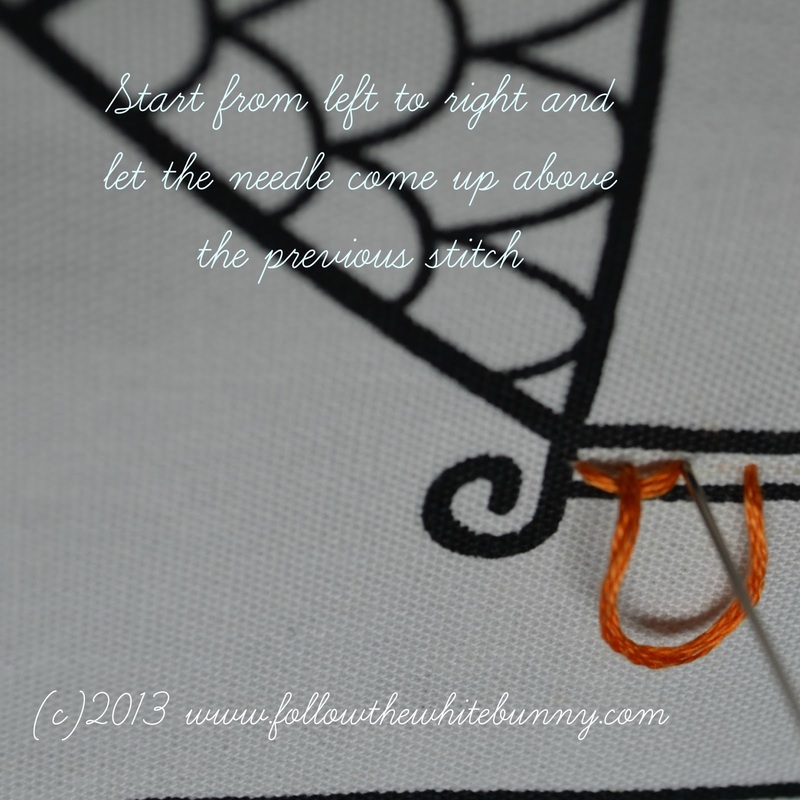 Here's where I have improved. For some reason I often let my needle emerge in the middle between the stitches not right at the end of the previous stitch! Yes! It's really great for curvy lines too.